FAA Certificated Air Taxi service throughout the State of Alaska. Custom trip planning for sight-seeing, fishing, hiking and hunting. We specialize in fly-in hunting, fishing, and sightseeing directly from Anchorage's seaplane base. 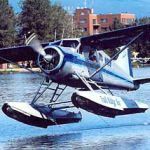 Air charter service operating a DeHaviland Beaver and specializing in guided fishing tours throughout south central and south western Alaska. Day trips to week long safaris utilizing a network of remote lodges. A family owned and operated, fully insured FAA part 135 Air Taxi, based in Coldfoot, Alaska, on the south side of the Brooks Range mountains. 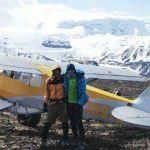 We deliver a wide variety of flight services some of these include industrial support, service to government, Film and television production, incentive group functions, flightseeing, summer glacier based dog sledding, weddings and more. 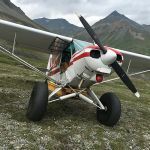 Family Air Tours, specializing in flights to the magnificent Misty Fjords, fly-out fishing, bear viewing, camping drop-offs, charters, and glacier tours. Toll Free:(800)380-1305. 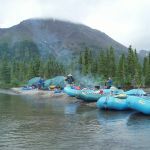 Let Michelle guide you to world-class fly-out lake and stream fishing with breathtaking wilderness.